The global petrochemical industry is based on feedstocks that are derived as by-products of natural gas processing and oil refining. Do you know what risks might be involved and what to look out for now and in the future to ensure your business evolves with the market? Argus provides not only expert petrochemical market coverage, but also in-depth data and analysis on refined products, natural gas, coal, NGLs and LPG. As a global leader in petrochemicals and across the value chain, trust Argus to help you mitigate risk by truly understanding the market, from the wellhead to plastics conversion. With decades of global petrochemical experience, our experts will help you determine what trends to track and how to stay competitive in today’s ever-changing global markets. The global methanol industry has performed well in recent years, which has sparked interest in expanding capacity. We cover all aspects of the changing global markets. Strong demand for olefins and their key derivatives continues, with growth led by the global polymers industry. The C5 and hydrocarbon resins industry has experienced a fundamental shift, going from acute shortages to a glut of products. We cover all aspects of the changing global markets. The global aromatics slate is diverse, ranging from benzene and styrene to toluene and xylenes. We cover all aspects of the changing global markets. Increased gasoline consumption is driving growth in the MTBE and ETBE industry, and renewable fuels are providing competition for adding octane. We cover all aspects of the changing global markets. Chlor-alkali products are essential to everyday life, from large industrial buyers down to the individual consumer. We cover all aspects of the changing global markets. This service provides robust daily price assessments for key global methanol spot markets to see changes to price spreads by region and/or related products. What is ahead as growing global MTBE capacity alters trade flows and producers and marketers look to emerging markets? Argus shares forecasts and analysis. Argus’ daily reports let you see changes to price spreads by region and/or related products, with a global view of news and prices, along with helpful tables and graphs. Argus’ weekly and bi-weekly reports provide contract and spot benchmarks, global industry news, and analysis of key economic drivers in each major region. Detailed commentary on industry activity, including feedstock trends, is supported by insightful graphics. Argus’ monthly outlooks give you a 24-month rolling price forecast and forward-looking analysis of global supply and demand, trade flows, and inventory levels for each petrochemicals and polymer derivative. Regional analyses and price data support discussion of major trends throughout the forecast period, including arbitrage opportunities and global trade. Argus’ annual reports, part of the wider Argus Analytics service, put you firmly in control of your petrochemicals information flow. The service provides comprehensive historical and forecast data, together with a detailed annual analysis and in-depth commentary on the global markets behind the numbers. It includes a 10-year forecast and five-year history for product capacities, trade, and supply-demand balances, as well as regular access to expert analysis and capacity updates. We are dedicated to covering petrochemicals markets around the world, and our services will help you find the prices and news you need to track the industry. 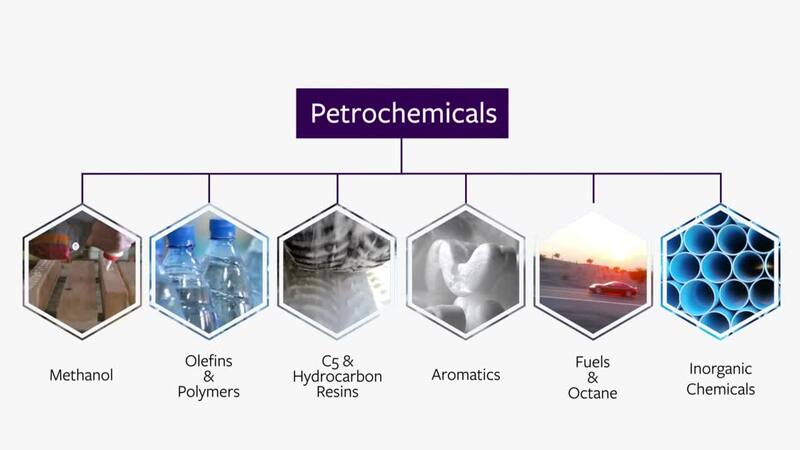 We have publications and services for all types of petrochemicals, and we can put these products into context within the larger energy landscape owing to our extensive knowledge of related markets. We invite you to explore our offerings and see which ones may best fit your business. A Argus iniciou suas atividades produzindo um relatório de preços de petróleo a partir de Roterdã, em 1970. Desde então, crescemos e ampliamos nossa capacidade de cobrir os mercados globais de petróleo com a mesma precisão e transparência do começo. Nossos relatórios regionais dedicam-se a explorar preços diários e inteligência de mercado advinda deste acompanhamento, enquanto nossas publicações globais fornecem análises macro e avaliações de preços. Argus is your essential source of market-leading price assessments, news, analysis, fundamentals data and price forecasting for the global LPG market. Whether you need access to our exclusive European indexes and benchmarks, expert commentary or tools to aid your business planning, we give you the clearest, most accurate LPG business intelligence available anywhere. O Argus Direct é a mais moderna plataforma digital da Argus Media. Este é o nosso serviço premium para acessar relatórios, preços, insights de mercado, fundamentos e notícias. Sua interface intuitiva facilita a navegação para que os usuários possam construir um painel personalizado e acessar em tempo real os principais indicadores, gráficos, notícias e análises. Saiba mais sobre o Argus Direct e outras ferramentas oferecidas pela Argus para entregar a informação que você precisa e otimizar o seu negócio.